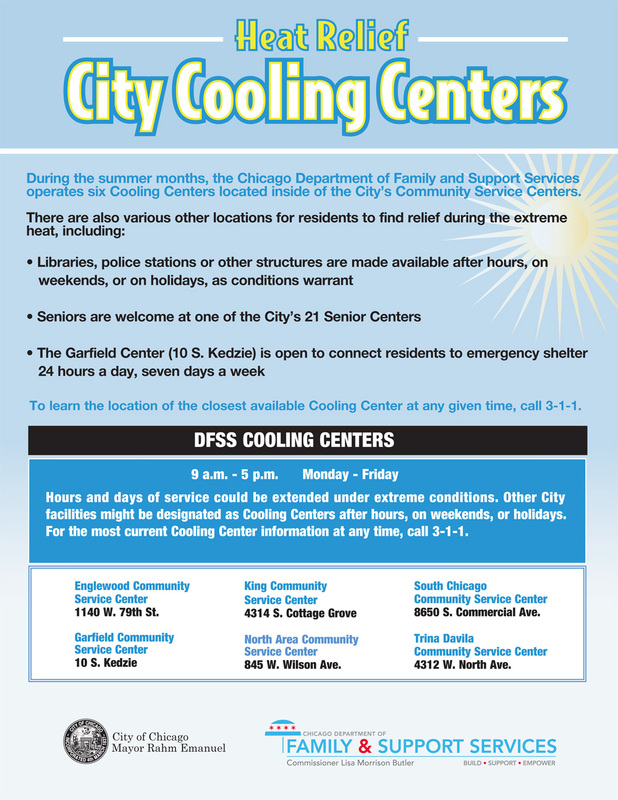 Two words: COOLING CENTERS. 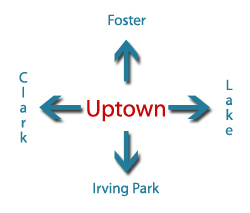 Chicago has six of them, and one is right here in Uptown at 845 West Wilson. 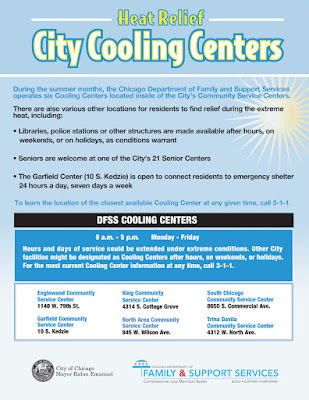 Additionally, public buildings (park fieldhouses, libraries, senior centers, police stations) act as cooling centers as well. If you can't get in touch with a neighbor or relative you are checking in on, call 3-1-1 and request a well-being check. Someone reminded us of this recently, and it's a good point. 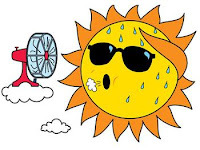 Often seniors have fans and/or air conditioning, but either don't realize the danger the heat brings, or are too cost-conscious to use them. 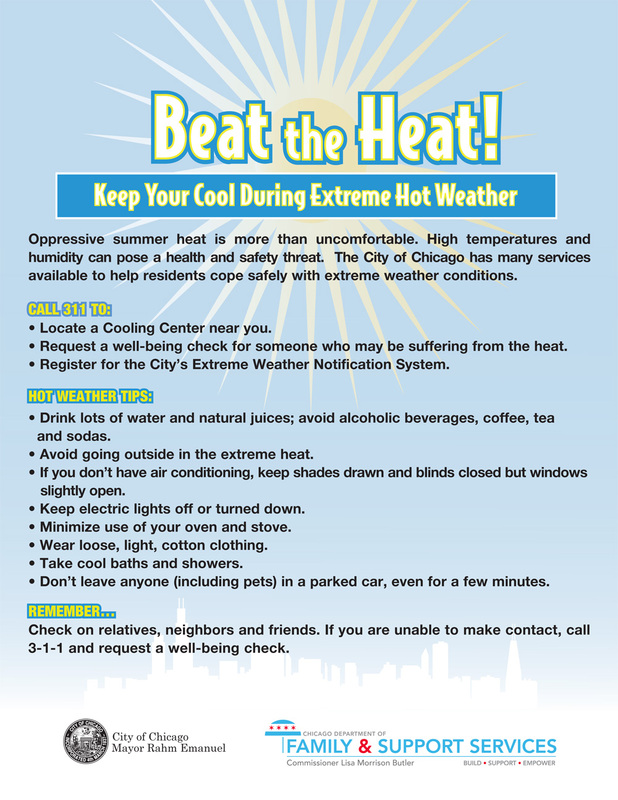 Please make sure they are using what they need to stay cool. This is not the time to be thrifty. 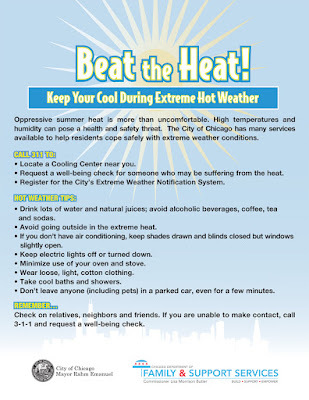 If you see someone or know someone who needs a cooling center but can't get there, call 3-1-1 and the city will send someone to bring them to one. 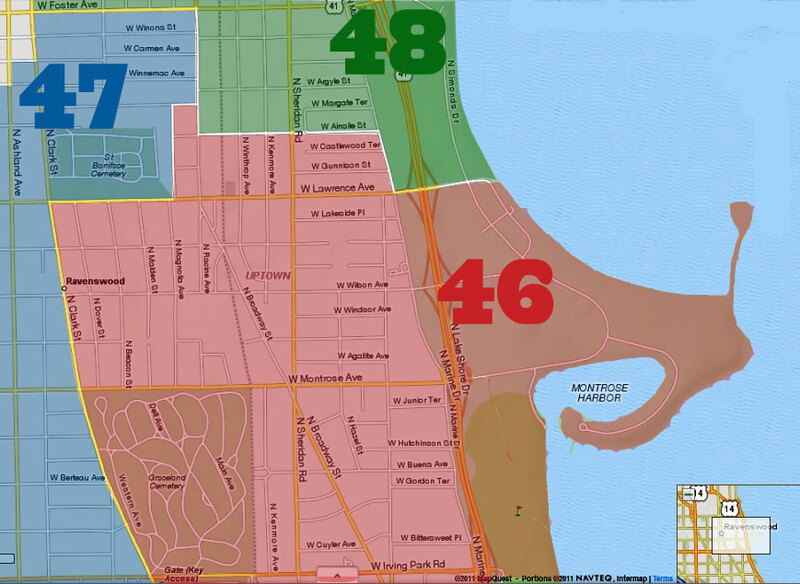 Area pools open on Friday (Chase Park, Gill Park, and Uplift High School). Some neighborhood playlots have water features (Broncho Billy Playlot, Aster Playlot, and Buttercup Playlot). We can't believe it need to be said, but there are always news stories: Don't leave your kid or pet in a closed car. Speaking of pets, here are some hints on how to keep them safe as well.